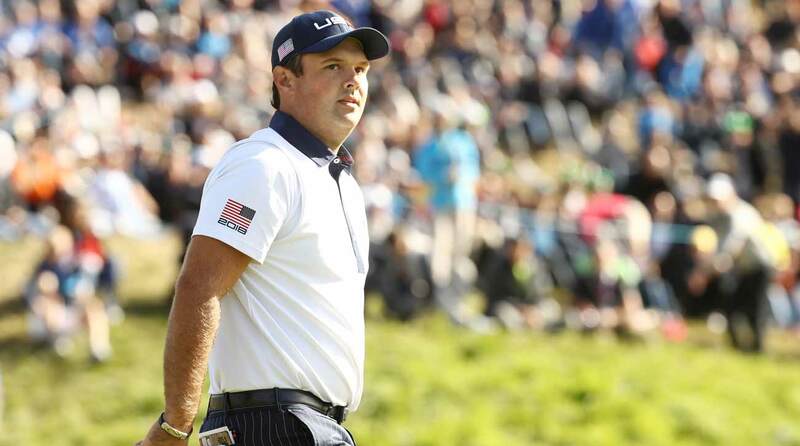 Patrick Reed apologized to his U.S. teammates in the aftermath of the Ryder Cup, Brooks Koepka said on Tuesday. In an upbeat, wide-ranging interview on WFAN's Boomer and Gio, Koepka dished on Reed's Ryder Cup drama, his "fight" with Dustin Johnson, slow play, what he thought of Phil Mickelson's U.S. Open rules violation and much more. Following the U.S. team's 17.5-10.5 loss to Europe, Reed aired his grievances with the team to the New York Times, focusing particularly on captain Jim Furyk's decision to split up Reed's successful partnership with Jordan Spieth. On Tuesday, Koepka stuck up for Reed. "I like Patrick, Patrick’s a good dude," he said. "He just beats to his own drum. He’s very family-oriented, kinda sticks to himself. He’s not out playing practice rounds with a lot of guys. He’s got his wife, his caddie, his team which is kind of around him. And he’s a successful player; he’s good at what he does." Patrick Reed apologized to the U.S. Ryder Cup team in a group text, Brooks Koepka said Tuesday. Post-Ryder Cup, Koepka said he heard from Reed. "Patrick, funny enough I texted him on Monday or Tuesday [after the Ryder Cup], I was in Scotland playing and I got a text from him, a group chat, and like he said, 'Don’t believe everything you read.'" But Koepka added that Reed followed up with an apology to the U.S. team's group text. "Obviously the things with Patrick, it just kinda took on a life of its own. We’ve got a group text, and there were some texts that were sent, and he kind of apologized for some things." Koepka said he thinks that half-truths can get a life of their own, citing his alleged physical altercation with Johnson as an example. "I think a lot of times, somebody catches wind of something and then they kind of make it their own story, like a game of telephone," he said. "The stuff with me and DJ, you saw that, and, I mean, if we really got into a fight one of us would have got a black eye, I can promise you that." The interview seemed particularly comfortable for Koepka, who spoke freely. He reiterated his thoughts on slow play ("I don’t get how it takes over a minute to hit a golf shot") his hot-headed past ("In college I was breaking clubs left and right, I had no problem acting like a little kid") and Phil Mickelson's infamous U.S. Open penalty ("He’s been incredible for the game but I don’t think that was his best moment, to put it lightly"). You can listen to Koepka's complete interview with Boomer and Gio here.